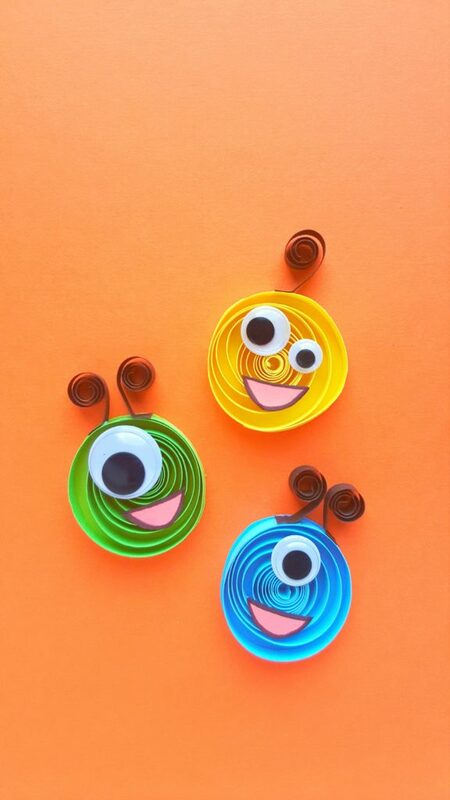 If your children love to craft, they will love this quilled paper monsters craft for kids! 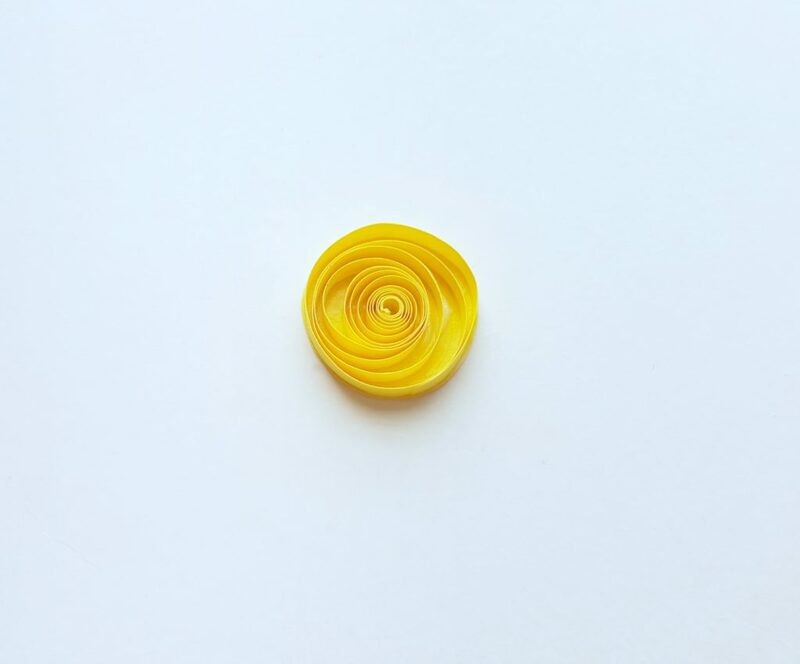 While you might think they look intricate, they’re actually really simple to make. Plus, the best part is that you can customize them in any way that you’d like. Spooky, funny, silly–whatever you can imagine. This not only makes a perfect Halloween craft but, it’s great all-year-long because monsters are just awesome! If you like this craft, you’re gonna love these other adorable crafts. Grab the kids and make this Halloween Mummy Craft for Kids, Bat Treat Bag, and this fun Jack O’ Lantern Treat Bag. 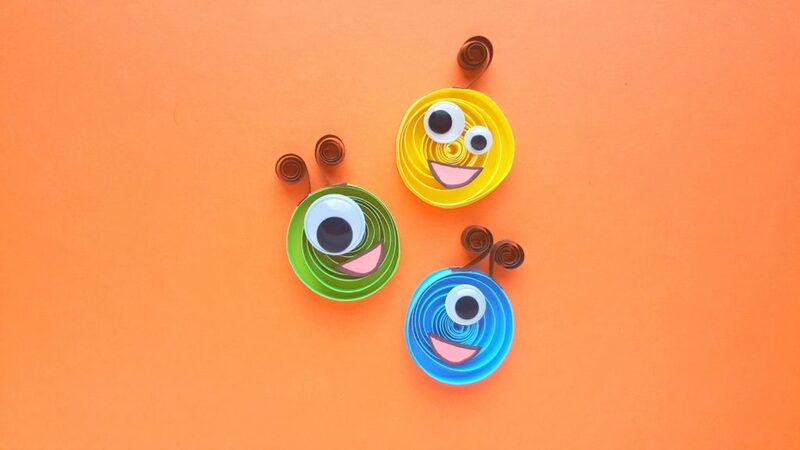 For now, read on for the step-by-step guide to make these cute and silly monsters! Take a long piece of quilling strip, about 20 inches should do. 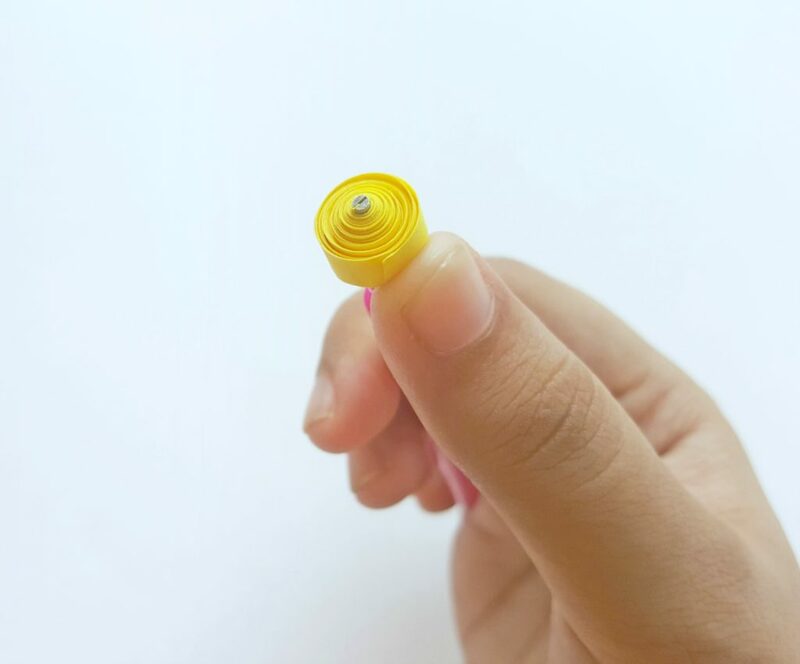 Use the slotted quilling tool to coil the whole strip or you can also do it by free hand. Take out the coiled strip from the tool and allow the coil to loosen up by itself. Take a piece of colored (same color as the strip) craft paper and use craft glue to trace a circular outline on it. Apply glue inside the outline as well. The size of the circular outline should be the same as the size of the loose coil prepared in step 2. 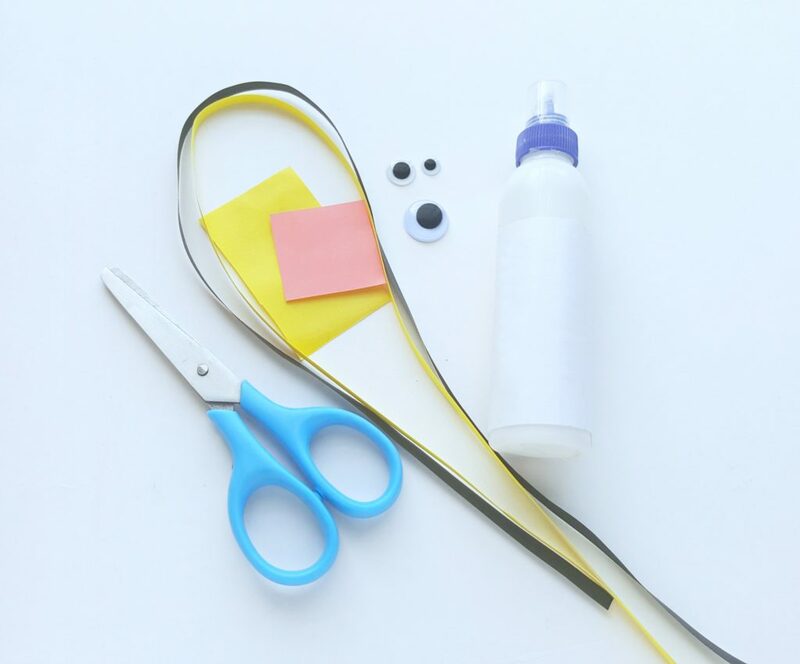 Place the loose coil on the glued area of the craft paper. 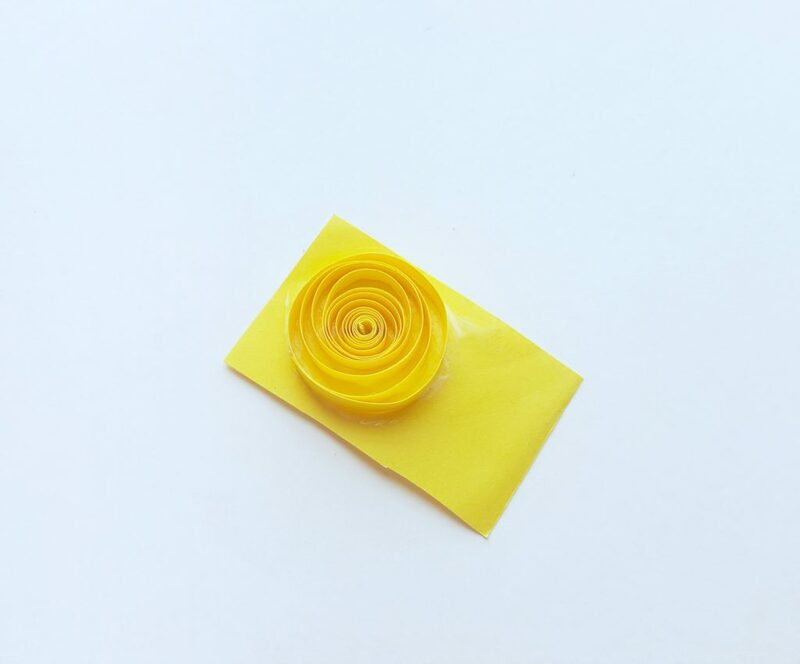 Carefully cut the craft paper all around the loose coils’ outer edge (the circular outline). 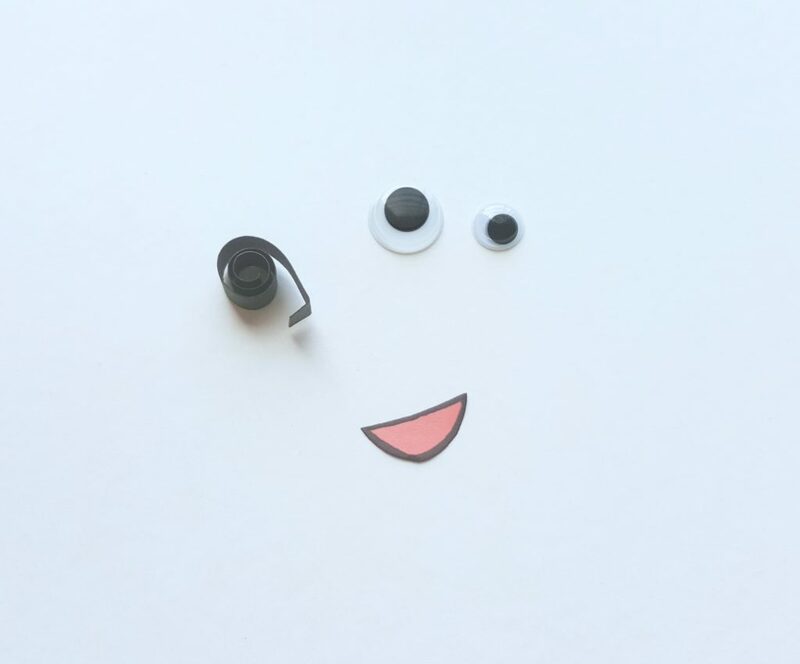 Cut out a mouth from pink craft paper; you can draw a thin border on the mouth shape if you want to. Select googly eyes for the monster; use 1 or 2 or 3 or as many eyes as you want. Take a 2 inches black colored strip and create a tight coil with it. Carefully cut the orange craft paper all around the coils’ outer edge. Glue the mouth cut out on the loose coil prepared in step 4. Take the black coil and glue its open end on the outer edge of the loose coil. Finally, glue on the googly eyes. Make sure to allow the glue to dry entirely. Now that you have the step-by-step guide to making the cutest monsters, you’re all set. I personally love the double antennae look, you? If you like this monsters craft for kids, you’re gonna love these other adorable crafts. Grab the kids and make this Halloween Mummy Craft for Kids, Bat Treat Bag, and this fun Jack O’ Lantern Treat Bag. Do your kids or students love monsters? Let me know, til then–cheers m’deres! Nancy Polanco is a freelance journalist, lifestyle content creator, and editor of Whispered Inspirations. She is a proud Mom to Gabby and Michaela, and wife to Darasak. Having worked as part of a health care team for almost a decade, Nancy is happy to be back to her passion. She is a contributor to the Huffington Post, TODAY’s Parents, and an Oprah Magazine Brand Ambassador. A Little Inspiration in Your Inbox! Subscribe for delightful goodies like being the first to know about freebies, bonus codes & so much more! Previous Post: « What Is Age-In-Place Living? How cute are these? I am babysitting my nieces next weekend and I am sure they would love to make these monsters with me. Awesome, hope they like them. EEk! How fun are these critters??? I love how simple they are but still look like you slaved for hours over them. Totally adorable and I love love love them. Hehe, that is awesome. Thanks for the kind words. Going to have to show this to my daughter. She is always looking for new things like crafts to make with her kids on those rainy or long winter days. She will have to help the little one but the boys can do their own. That is awesome, hope they enjoy it. Oh my gosh how cute is this! It is so simple to make that any one of my kids could make this. This would be a fun project to do for Halloween. Yes, it would be super fun for Halloween. This would be a great craft for the kids’ classrooms. So cute! Oh my gosh, these are the cutest. I can see my daughter making tons of monsters. She loves to make things like this! These are so cute! Kids need to do more things like this and get off their tablets! These are just adorable. I had to send this to one of my teacher friends to make with her class. Pinning for later. Thanks so much for sharing, truly appreciate it. This is an interesting technique, and it would be a cool idea for crafts. My kids would love to do this for Halloween. It is such a fun craft! OK now these have to be the cutest little monsters just check them out! What a great idea for kids to make! So colourful as well. These are really cute and easy craft idea for kids, Love it, I am going to pin it in Halloween board. This is a wonderful tutorial. This would be so much fun to do with the kiddos this weekend. Oh, those are so cute! I think this would be the perfect way to help kids get over their fear of monsters too. Making these adorable little guys would show them monsters aren’t scary. Yes, so true! 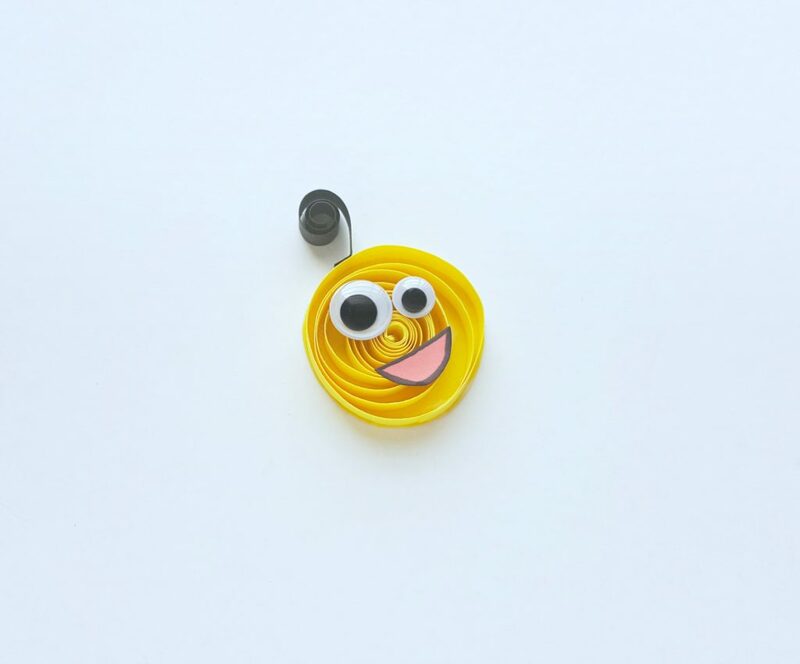 You can make the super silly or cute. Now this looks like a fun project to do with your kids! I need to try this with my nieces and nephews soon!! Wow! 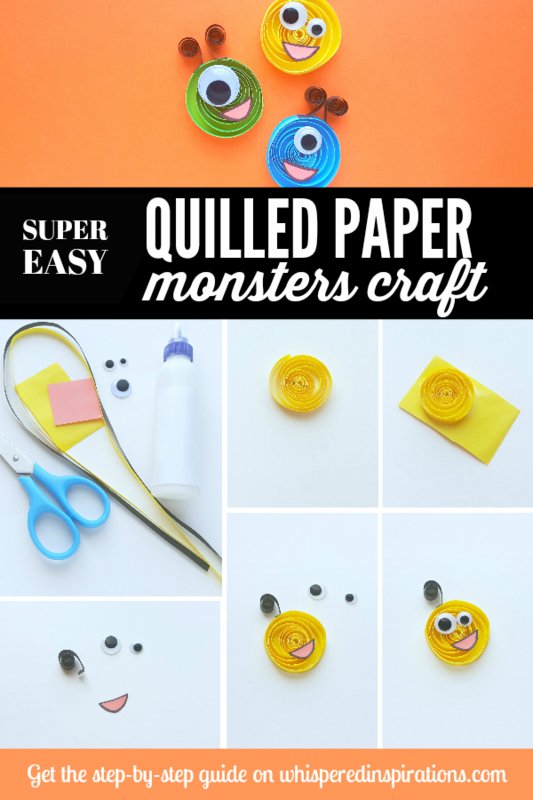 This is perfect and easy to do such paper monster crafts. Kids would love it. Yes, they will love them. How cute these are! Those are probably the cutest monster I’ve seen, very crafty and artistic! This is so cute! I may have to try this with the kids. One of my goals is to be more creative and get them being more creative instead of just hanging out on the couch so much. Yes, crafts are the perfect solution. Those are so cute! I need to make these with my daughters. 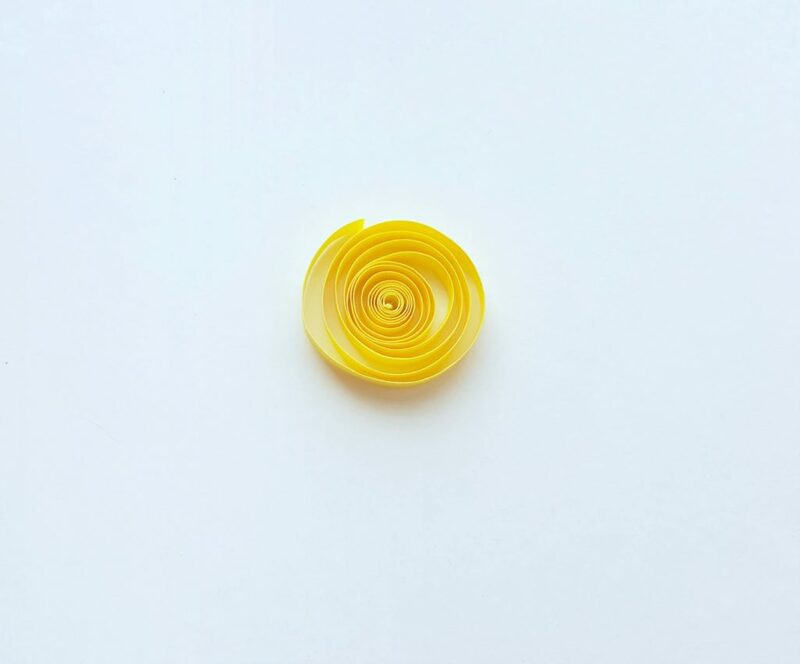 I love how simple they are to make too. Thanks, they really are super simple. How adorable are these?! These would be great to make with the little guys and put in their treat bags for school! Then all the kids could have one! Yes, that would make it extra special. I love easy DIY ideas! And this one is so perfect to make with my little one during those long rainy cold weekends! Yes, it is a great rainy day craft! Awww, that is so cute! This is so cute! My niece loves crafts. I am so excited to do this with her. Yay, I hope she has fun making her own little monster. Awe that is so much fun to make! I love doing the paper curls. Super cute! Yes, it is something about those googly eyes. Those are just the cutest monsters ever. My niece is so into craft so she is going to love those monsters. Thank you for the idea. My pleasure, hope she has fun! these are so so cute! I love doing seasonal crafts with the kids and they would totally love this monster one! 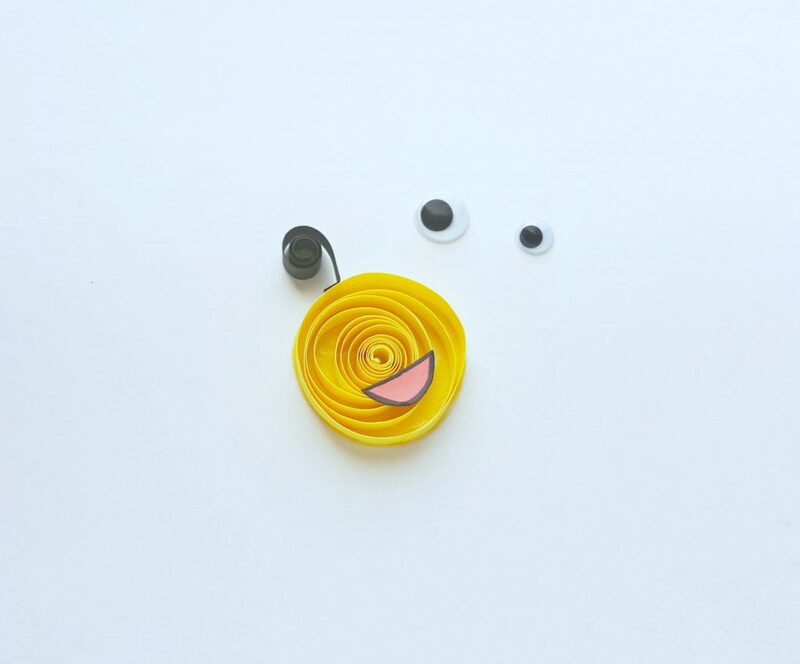 These are simple and so darn cute,the kids will have a blast making these! Yes, they are so much fun!